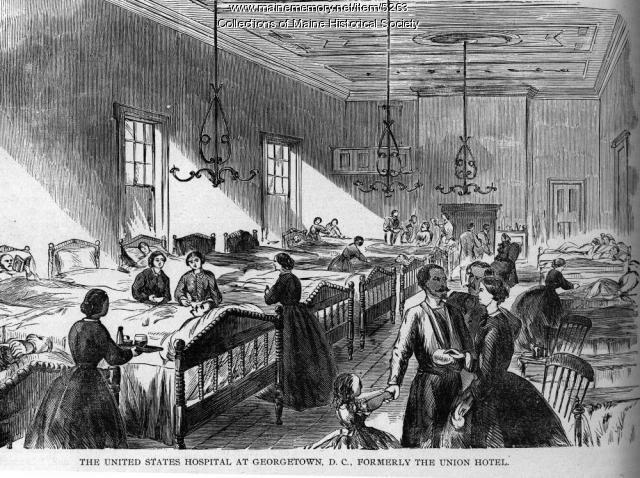 I have been here for a month or so at the Union Hotel Hospital assisting in the treatment and care of the soldiers. I was recently promoted to be the Head Matron of the hospital, which was a great honor. I am so committed to saving the lives of all men that come through those doors into our care. The conditions are not the best for the men. There are few windows and little ventilation for the air to move. The air remains stagnant and the smell is tortuous. I cannot believe that the men are able to withstand it! 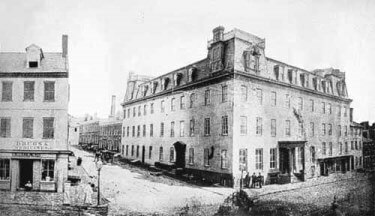 I am going to contact soon the Sanitary Commission, a group of individuals who are trying to ensure the best working and sanitary conditions for the patients to eliminate the disease culminating in the air. One nurse approached me the other evening regarding a poor patient. He had significant injuries and was having great trouble sleeping. This young nurse asked me to assist her in what she could do to help him in his state of misery. I told her that we as nurses must have compassion and be dedicated to doing anything our patients need us to do. In this gentleman's case, I told her to sit by his bedside and hold his hand as much as she needs to. A simple touch can show the men that someone cares and get them to sleep soundly, just like a mother caresses her crying infant. In our free time, we as nurses can aid in writing letters home to the soldier's families, acting as a scribe for those who are unable to write themselves. We can sing songs and hold the patients who are dying to provide them with a sense of motherly comfort. Nursing is not just changing dressings and cleaning the patients up after the horrible fights, but it is caring and tending to their needs, whatever they may be. I am writing this myself as I sit by a sleeping patient. My presence alone is enough to calm him back to sleep and to keep him feeling safe. My name is Hannah Ropes and I am a mother of four beautiful children, two of which have survived, Alice and Edward. 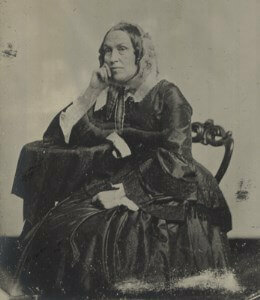 I moved away from my daughter, Alice, to Washington D.C. in order to volunteer as a nurse for the Civil War. I am an extremely passionate abolitionist, for I cannot stand the thought of those innocent African individuals being brutally used for other people's profit. I will support any movement against slavery and want to provide assistance to all of the soldiers fighting against the South and their evil ways.